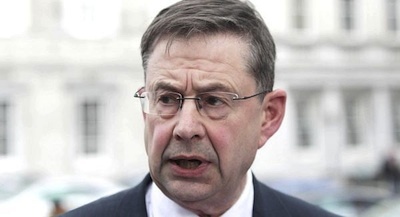 Former government minister Eamon O Cuiv has warned that the atmosphere in Maghaberry Prison between republican prisoners and prison authorities is on a “knife edge”. Mr O Cuiv was speaking after a delegation of TDs visited prisoners at Maghaberry this week. The delegation included the former Fianna Fail Minister and independent TDs Maureen O’Sullivan, Mick Wallace and Clare Daly from the United Left Alliance. In November 2012 republican prisoners on the Roe 4 wing ended an 18-month no-wash protest, but tensions in the prison have returned after the British authorities reneged on a deal to end strip searches. Speaking after the meetings at Maghaberry, Mr o Cuiv said he believed that tensions in the prison were rising. “Certainly the impression we got there is significant frustration on behalf of republican prisoners that the agreement put in place at the end of the dirty protest have not been adhered to,” he said. The delegation has previously met British Direct Ruler Theresa Villiers and Stormont justice minister David Ford. Adding to tensions recently are new problems over visits to the jail. Scores of visits have been blocked from going ahead due to ‘technical problems’ at the jail. Earlier this month, Maghaberry officials suddenly cancelled all visits ‘due to the system being down’. The prison then changed its mind twice, before eventually telling the visitors who had arrived at Maghaberry to return home. The Irish Republican Prisoners Welfare Association expressed disgust at the “antics” of the prison administration which had left young families “both out of pocket and frustrated at not having to be able to see their loved ones”. Mr O Cuiv said the TDs were concerned about the escalating situation in the prison.